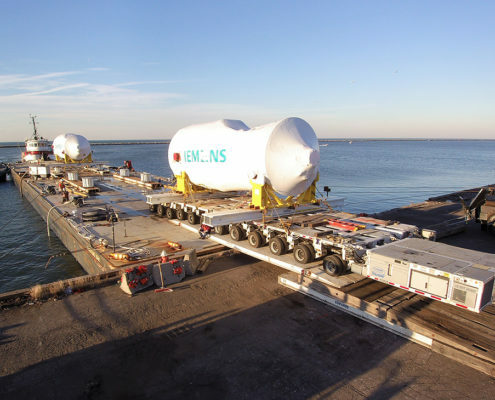 Watch as Edwards rolls off 2 Gas Turbines from barge at a Great Lakes port. 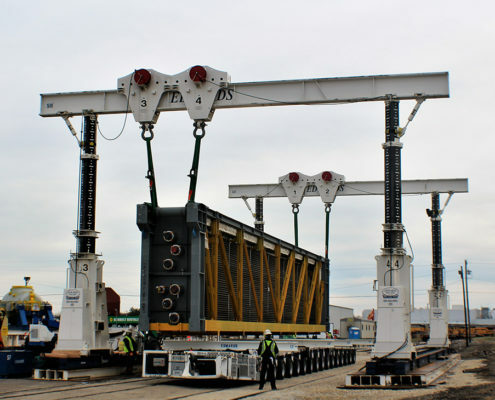 This multi-modal transport involved barge and rail for final delivery to the job site. Edwards Moving & Rigging offloaded (32) HRSG modules from incoming rail cars at a job in the Midwest US utilizing our 700 ton Gantry System.